Here's to celebrating the Indian Holi Festival of Colours in a slightly different way. A celebration of fertility, colour and love, as well as the triumph of good over evil, this is a vibrant event filled with beautiful colours. 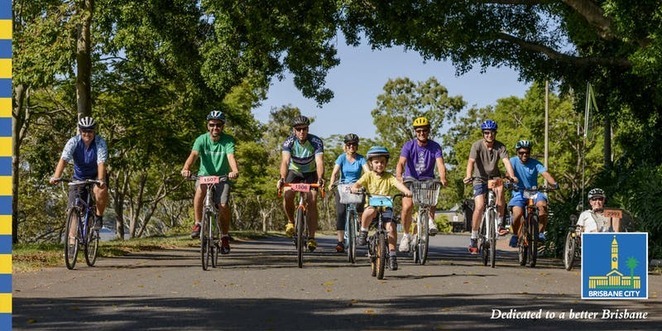 On Saturday 2 March 2019 from 11am to 12pm, head for the Rocks Riverside Park, 531 Seventeen Mile Rocks Road, Seventeen Mile Rocks with your bike decked out looking colourful and festive. The meeting point is at the park entrance near covered playground off Counihan Road. Requirements are bike, helmet, sunscreen and water. This is a FREE event, though it requires REGISTRATION to participate. Presented as part of Council's Active and Healthy & Cycling Brisbane programs, children 16 years and under must be accompanied by an adult. The bike ride is an easy pace along the river route (approx 5km), and it's suitable for all ages. After the ride, join in the fun as Brisbane celebrates with the Indian Community at Seventeen Mile Rocks. There'll be food, activities and entertainment from 12pm All participants will receive a packet of colours to join in the celebration. Attire yourself appropriately as you're going to get a whole lot of colours coming at you!